Upcoming Teacher Workshops: Register online at WRESA.org for all of the workshops listed below except for the HELPS workshop. Be ready to fall in love with Sunshine and Storm, the pictorially delightful characters of this funny and touching story of friendship. But be prepared to delve into the study of weather and living things as the story unfolds. Session participants will engage in science activities that will promote student understanding in the study of weather as well as in the study of living things. =This workshop is designed for K-2 teachers. The workshop will be co-facilitated by Dr. Karen Summer (WRESA/ksumner@wresa.org/828.418.0011, ext. 26) and Dr. Teresa Cowan (The Science House/thcowan@ncsu.edu/828.418.0011, ext. 17). Arduinos….Ready to enhance the “E” in STEM? Then this session is meant for you. Participants will be exposed to the Arduino, a mini micro-processor that is being used worldwide for low cost electronics and development. This workshop will offer participants the opportunity to explore the use of Arduino in their K-12 classrooms to promote STEM education. This session is open to all grade levels, content areas and experience is not required. The session will be lead by Dan Alich, an instructor at the Macon Early College High School and inventor of Duinokits (http://www.duinokit.com/) and co-facilitated by Dr. Teresa H. Cowan, Director of The Science House Mountain Satellite Office. K-5 or 6-12 Science, Technology, Engineering, and Mathematics teachers, what do you need to boost the STEM curriculum in your schools? How about free access to technology, resources and lab materials for use in the classroom? Now, the real question is how can you make this happen? After the training session, you will be eligible to participate in the equipment loan program through The Mountain Satellite Office of The Science House. Looking for ways to enhance student achievement and student engagement? This session is the means to that end. Dr. David Hardy will provide information and knowledge of how the brain works. This knowledge will then be expanded upon for applying brain-based strategies in a middle or high school setting. Session will include strategies to enhance instructional lessons, activities to incorporate into specific classroom settings, and a project-based evaluation of classroom learning environments. Content of this workshop is designed to promote classroom instruction for all middle and high school teachers but can be applicable to all. Date: Saturday, March 21, 2015; 9 a.m. – 1 p.m. Registration Fee: $15 (PENC members) $25 (non-members). Credit hours: 4. Please visit www.pencweb.org/workshops to register. 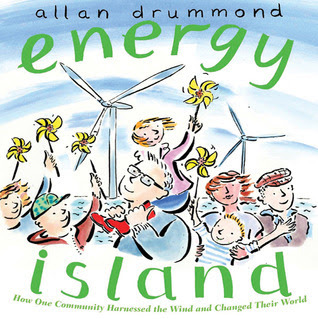 Join us for a day of science and literacy as we explore the informational text Energy Island, an inspiring true story about how citizens of Samso, an island in Denmark, drastically reduced their carbon emissions and became almost completely energy-independent. Participants will explore the use of informational text as the focal point in delivering an interdisciplinary unit; a unit designed to promote literacy and science as well as the possibilities of energy independence. This workshop offers classroom-ready activities and lesson plans. It will focus upon several unique aspects of agriculture with exploration of the work taking place on the farm. Teachers will leave better prepared to educate students and to help them understand the sources of their food, fiber, and forestry products native to their local school district. Darwin’s Birthday Celebration: February 12th from 4-7pm. Please join the WCU Department of Biology for our third Darwin’s Birthday celebration at WCU UC ILLUSIONS on Feb 12th 2015 4-7PM. Come eat some pizza at 5 and enjoy the celebrated Darwin scholar Dr. Jim Costa’s talk “Teaching Darwin With Darwin” at 5:30. Chuck, and some other primates will be making personal appearances!! Don’t miss it. Bring several copies of your favorite evolution lesson plans to swap, bring an artifact for the “Form and Function Game”, engage with evolution poster presentations by WCU students and faculty, marvel at the show and tell artifact table, and kick back and spend some quality downtime with your colleagues. Mark your calendars and please RSVP to Amanda Clapp: aclapp@jcpsmail.org. The National WWII Museum is excited to announce a week-long professional development opportunity to take place in the summer of 2015 for middle school (5-8th grade) science teachers. Twenty eight teachers from across the country will come to New Orleans to experience hands-on how necessity, knowledge, perseverance and skill lead to inventions, innovation, and careers in STEM—just like in World War II. This opportunity is supported by a grant from the Northrop Grumman Foundation. Teachers will receive free room and board in New Orleans, a travel stipend, and all seminar materials free of charge. We are looking for great young teachers nationwide, and the application period begins January 5th 2015. Please visit http://www.nationalww2museum.org/realworldscience for more information and to signup for email updates. No Cost STEM Resource: Reach for the Stars: Touch, Look, Listen, Learn was developed with the goal of bringing science and astronomy to ALL students, including those who are visually impaired. Created in partnership with the Space Telescope Institute and with Braille overlays provided by theNational Braille Press, the iBook is now available from iTunes or from http://www.sascurriculumpathways.com/astronomy.